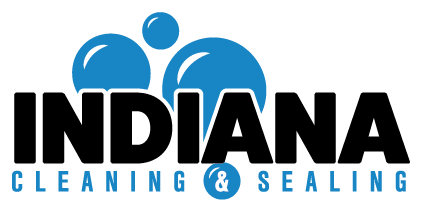 Indiana Cleaning & Sealing will keep your decorative and stamped concrete looking beautiful with our recoloring and resealing process. Our concrete sealing process can restore the color you love in your decorative concrete driveway, walkway, patio or pool deck. Our sealants are also available with subtle pigmentation to further enhance the color of your design! Sealing also helps to protect against fading, pitting and deterioration, keeping your decorative or stamped concrete looking great longer. 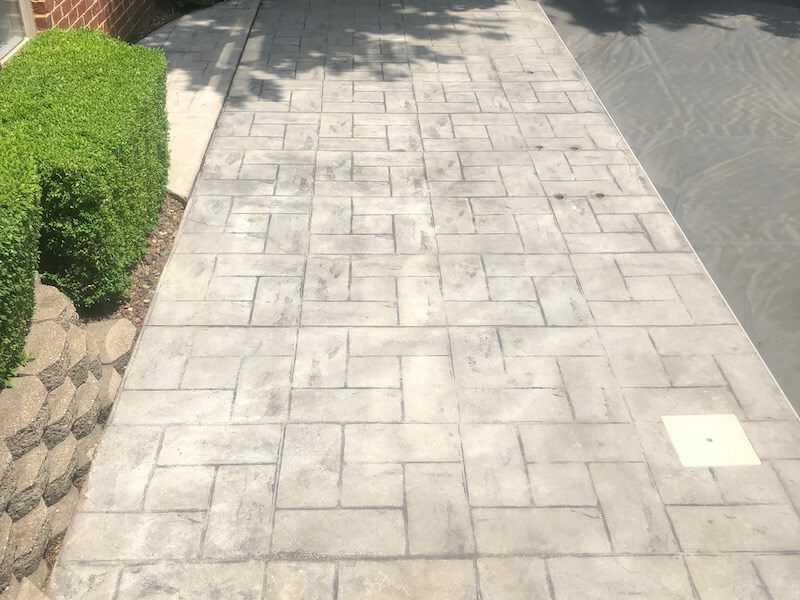 A surface sealant will not only maintain the beauty of decorative and stamped concrete surfaces, it also provides protection from damage caused by foot traffic, water and the elements. 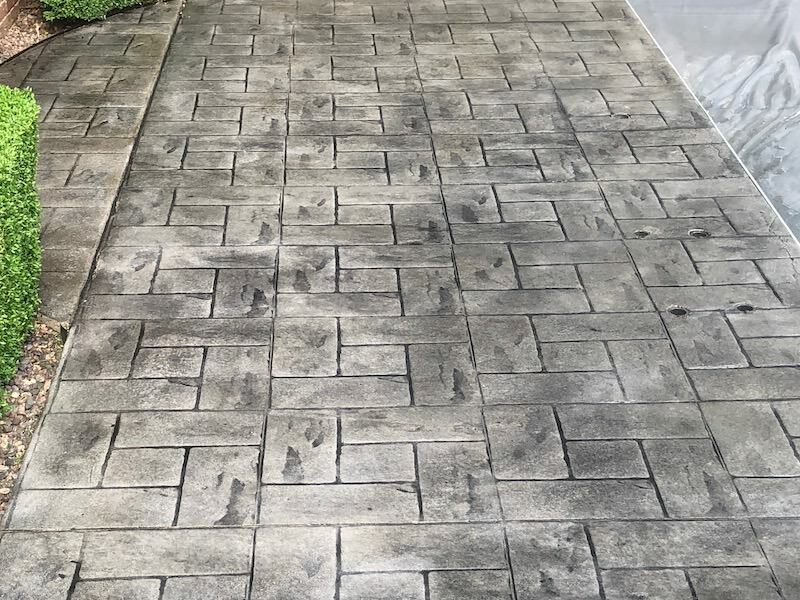 Assess your decorative or stamped concrete surfaces to determine if any repairs are required before sealing. 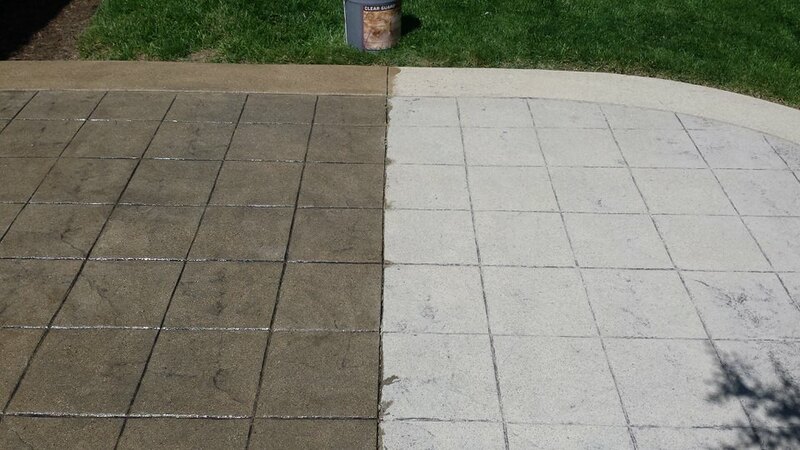 Power wash and clean your concrete surface to remove dirt, debris, algae, mold, etc. Seal and protect your paver surface using a professional-grade sealant. We recommend sealing your decorative and stamped concrete surface every three years to properly protect your investment. Contact our team for expert guidance on your project!